Darjeeling, one of the most popular tourist destinations attracts thousands of tourists every year offering the scenic beauty of the calm and placid landscapes covered in mist with the view of Mt.Kanchenjunga in the backdrop. There are happening places with boulevards and sheds for visitors, pedestrians and children to rest and enjoy the open place thronged by locals, visitors and children. Among these are Chowrasta, Mall road and Ladenla road. It is like the busy lanes that never go to sleep. These roads with their proud heritage are home to horses for riding and stray dogs. 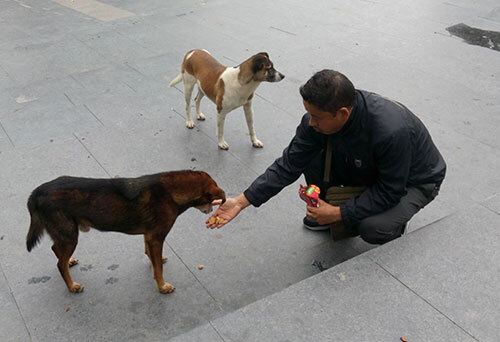 All the four-legged run in a pack and look for some who could be nice to them by giving food and biscuits. These dogs are huge in number and spend their time following people for food, love and care. 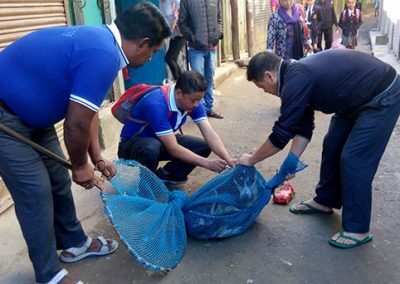 They run from Chowrasta to Ladenla road and return to their spots every day, and when they don’t get lucky, they know it is not their day for some snacks. They feel desperate and sit lazing around through the day or shelter themselves on the pavement. 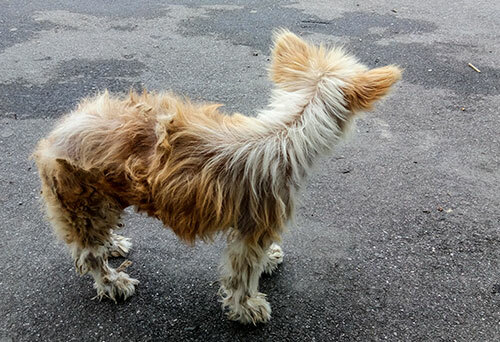 There are more than fifty dogs alone living on the streets, they have been pavement dwellers for very long. 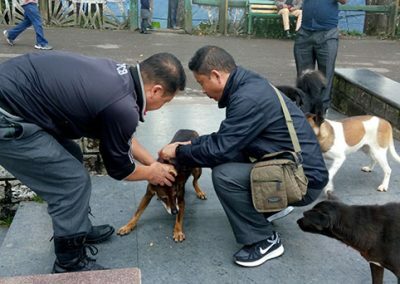 But these dogs are not quiet and desperate all the time, their mood could change anytime out of the blue and they could pose threat to people walking on the bustling streets thronged by people of all age groups. These poor dogs build insecurities in them due to their tragic stories of either being abandoned by their owners or chased away which at times make them outrageous. In order to protect locals, children and visitors from being bitten by stray dogs who have turned rabid, Darjeeling animal shelter conducts anti-rabies vaccination camp every year for the welfare of people and stray animals. 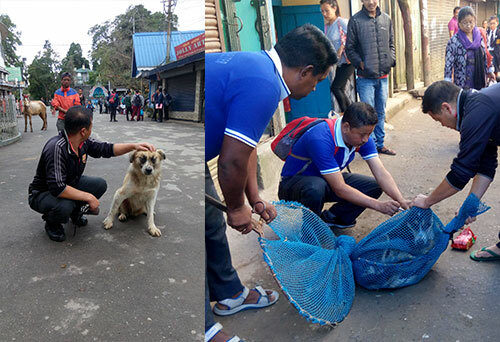 This time of the year in October, Darjeeling animal shelter conducted yearly ARV camp for five days in a row and vaccinated the stray dogs belonging to the main roads of Darjeeling vibrant with locals, children and pedestrians. More than fourty dogs were vaccinated against rabies using catching nets to trap them for their yearly vaccinations. The dogs there are not very docile to all so it is not always a piece of cake to catch these dogs and vaccinate them against rabies. 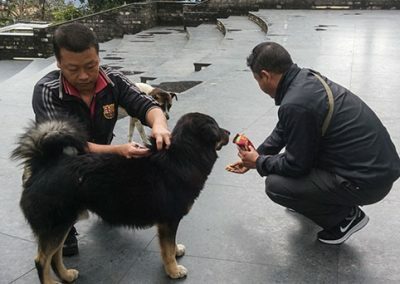 The shelter boys even under harsh conditions embark on catching these stray dogs every year to help these animals live better without the fear of going rabid and also to keep the environment safe and peaceful for all.